ONYX Ground Travel Solutions (ONYX GTS) are at the forefront of delivering executive ground travel throughout the UK and into mainland Europe – and they’re offering a fantastic 10% discount to new service subscribers. With a strong team of professional drivers in place, ONYX GTS are proud to announce the launch of their new website and travel apps to make booking with ONYX even easier. ONYX offer an executive car and chauffeur services 24 hours a day, 365 days a year with full UK coverage and a fleet of over 200 luxury vehicles. ONYX understand that the best laid plans don’t always run smoothly and so are delighted to offer a 60-minute complimentary waiting time at airports, train stations and ports so that clients can count on ONYX being ready to go when they are. In addition to the complimentary 60-minute waiting time at major transport hubs, ONYX also offer a 15-minute complimentary waiting time at all other locations, so that clients can seal the deal with peace of mind that they won’t be left stranded. Clients can choose from 3 vehicle classes to match requirement and budget, as well as selecting a driver according to their personal security needs. Not only are the ONYX driving team comprised of highly professional drivers, but ONYX also offer a complimentary chaperone services, with fully vetted and referenced companions, enabling safe and secure travel across the UK. As well as perfectly tailored personal travel, ONYX have a dedicated Corporate Account Team who work across the UK to ensure that complex company travel arrangements become seamless and enjoyable trips. The Corporate Account Team work with brands and organisations throughout the UK, liaising with multiple corporate offices at any one time. Opening a corporate account only takes a few moments, via the ONYX GTS website, www. onyxgts.com/corporate. For clients who wish to book directly, it has never been easier. 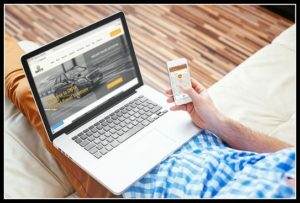 Cars can be booked via the website booking system, http://book.autocab.net/36492, or for a car in a few clicks, simply download the app to get started.